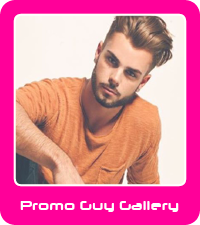 We are one of London’s leading suppliers of experience promotional models, event and exhibition staff. We provide confident and experienced promotional personnel for all types of clients, such as sole traders, hotel chains, blue chip companies, racing teams, insurance providers and private individuals. All our staff are professional and guaranteed to make your event a success! We are a leading supplier of exhibition girls and conference personnel for events at Excel and Olympia, and across London. We will make your event easier and handle the booking, manage your promotional staff, pre brief your promotional team and make sure they turn up on time. We have been established since 2010 and have more than 10,000 promotional personnel on our books with a wide range of skills. A large proportion of our staff are in London and we have a very strict recruitment process and a self built state of the art database. This ensures that we only put candidates forward to you that have the experience and skills you require. We hold regular recruitment days and visit a lot of venues. Because we only provide local staff this means that staff are not getting stuck in traffic or have far to travel which means they arrive to work fresh and raring to go. We recently provided promotional staff to assist our Military clients at ITEC ExCeL London (picture left). They had half a day training prior to the event as it was important they knew all facets of the products they were promoting. This enabled the team to be able to talk with confidence on a very specialised subject.